3D scanning technology has become a popular tool throughout many industries for use in quality control and reverse engineering projects. The geometry of a scanned part, known as a ” point cloud ” can be surfaced, smoothed, and input into a CAD program such as SolidWorks for the purpose of comparing parts to specification or to make drawings and perform FEA. New 3D scanners are now available which make this technology available to both large and small engineering firms. 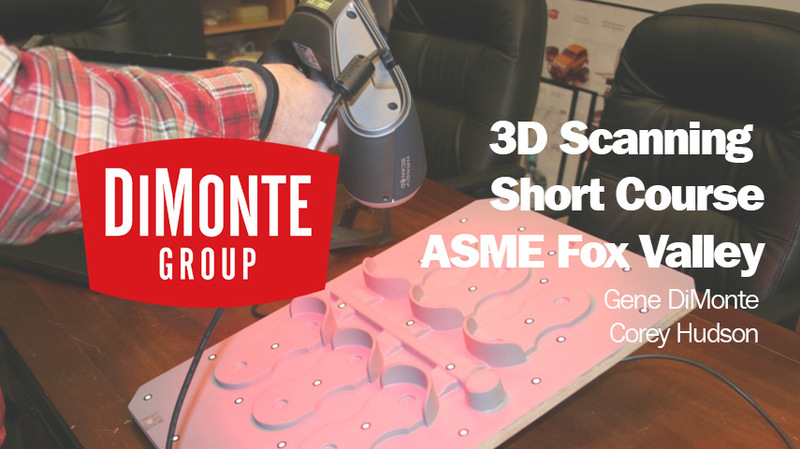 The short course presentated to the Fox Valley ASME discusses the various types of 3D scanning. Both the pros and cons of the technology will be included based on the experience of the presenters. The steps required to use a hand held 3D scanner will be discussed, followed by a demonstration of an actual application.